I walked out of the room still feeling the heat on my cheeks. My chest ceased heaving like a big wave. What was left was a sigh of relief. It’s done. After 15 brief minutes. The Speaking test gave me a thrill I never experienced in any other IELTS components. Question #1: Tell me something about your family. Anyone can confidently answer this question. Mind how you organize your response. First begin with the most interesting things about your family members then proceed with the least important details. Be enthusiastic and accurate when you are answering, making timely pauses and avoiding fillers. Question # 2: Describe the place where you currently live. I’ve never tried describing my dwelling place to anyone so I found myself picturing my room in my head before responding. You might want to practice telling where things are around your house and where your bedroom can be found. The examiner followed through asking the smallest details about my room. Question # 3: What is your favorite car and why? I never drove a car and probably I’ll never drive one so this question was a bit of a challenge. But the examiner insisted. ‘A BMW. Everyone in my country seems to love German cars.‘ (He then made a sign for me to talk more about it.) I simply couldn’t. I don’t think I knew enough about cars so I couldn’t say anything else. Question #4: What are your thoughts on fashion? Fashion changes far too quickly you can’t keep up with it if you don’t have the money or plenty of time to shop. I own a few items that I mix and match. As long as my clothes don’t look shabby or inappropriate, I’m alright. Question # 5: Describe an old person you know who had a great influence on you. The examiner told me that this old person should not be my relative. That made the question much harder to answer. I racked my brain who among my acquaintances can be considered ‘old’ and ‘influential’ and I remember meeting an old American fellow who endlessly talks about how adorable his grandkids are. He influenced me by lending me books and talking to me in perfect American English (as it is his native tongue). 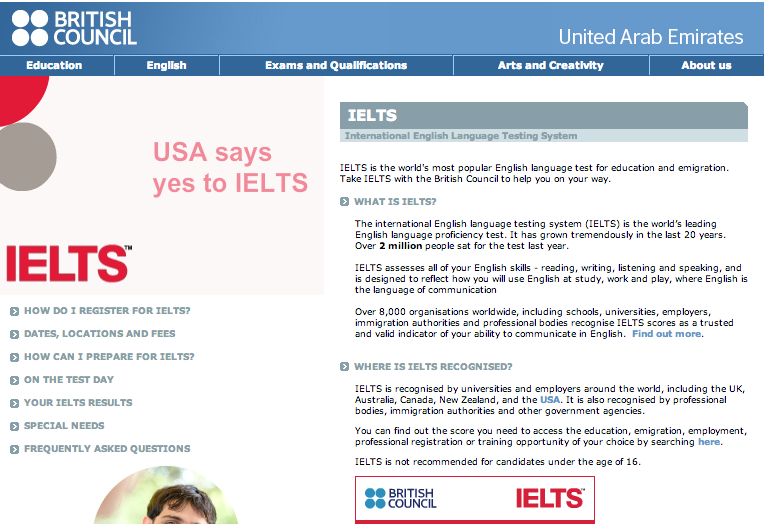 If you have been using any IELTS reviewer, you must have been acquainted with the basis of speaking test score: 1. Fluency and Coherence; 2. Lexical Resource; 3. Grammatical range and accuracy and 4. Pronunciation. They graded me 8.5 on Speaking. Not bad for a first timer but it’s .5 lower than the score I wanted. Did you take the Speaking test, too? Do you remember the questions they throw at you? Please share them at the Comment section. Thanks very much!